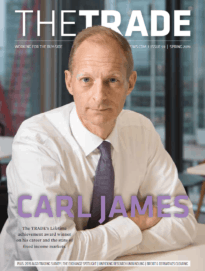 As recently established block trading venues battle for market share ahead of MiFID II, Hayley McDowell investigates if this is exacerbating market fragmentation and which venues are coming out on top. As a market estimated to be worth €100 billion by the end of 2018 - according to TABB Group - large in scale (LIS) trading on major European dark pools has fast become a highly competitive business. The last couple of years have seen traditional venues from firms like ITG, Instinet and Liquidnet - alongside recently established block trading venues like Cboe LIS and Turquoise Plato - battle to win market share and liquidity. The other venue that has come a bit late to the party is Euronext, having announced plans to launch its own LIS venue as other exchanges ponder entering the space. The block trading landscape looks very different from a year ago. Despite dark caps having not yet been applied, statistics from Fidessa show the proportion of dark traded as LIS blocks has close to doubled from approximately 12% earlier this year, to almost 22.5% as of November this year. Robert Barnes, CEO of Turquoise which offers its own Turquoise Plato Block Discovery platform, paints a similar picture of changes seen across the LIS landscape. "Behaviour is evolving in order to embrace the new regulatory landscape by trading blocks that are above LIS. As this ecosystem evolves, we expect the demand for electronic block trading to continue to grow,” he says. So what was once a question of whether LIS activity will increase in 2018 has shifted to which venue will win the most market share, which offers the better block trading service and will all of these venues survive long-term. It’s clear they are all trying to solve a problem presented by MiFID II and the introduction of double volume caps, but interestingly the platforms all operate very differently and attempt to solve the problem in slightly different ways. Liquidnet is considered as the incumbent by many market participants and possibly the most well-known of the block trading venues. It acts a broker providing a buy-side crossing network by embedding technology into buy-side order management systems. This is very different to Turquoise Plato where the buy-side instructs a broker to send an order onto the venue, while ITG offers a periodic auction style venue. Steve Grob, director of group strategy at Fidessa, explains the buy-side will play a key role in deciding which of the block trading venues will come out on top, but they are all very much currently in the running. The Cboe LIS platform saw record growth just 10 months after its launch, with more than 100 buy-side firms on-boarded and over €10 billion executed. The development of Cboe LIS - one of the younger block trading platforms - was in some ways based on improving the more traditional venue models, some of which have encountered criticism on how they operate from competitors. In terms of which venue will win the most market share and liquidity, Hemsley explains it will very much depend on the model. On issue of potential price movement, Barnes at Turquoise Plato succinctly explains that one of the pillars of the Turquoise Plato Block Discovery is the Uncross mechanism, which was designed in collaboration with the buy-side and sell-side community, and many consider this as best in-class. There’s no doubt the Turquoise Plato block venue has resonated with the buy-side, with daily value traded figures and monthly volumes breaking records on a seemingly weekly basis throughout 2017. “The execution mechanism is designed to be uneconomic for predatory strategies, and independent analysis consistently highlights the quality of Turquoise Plato Uncross with low price reversion rates. 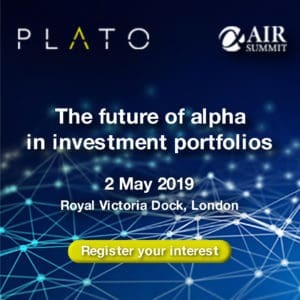 Even as flow into the platform has increased significantly since launch, the high quality and low reversion of Turquoise Plato Uncross matching remains resilient,” Barnes adds. But what of fragmentation and will all of these new trading venues survive, say, five years from now? Market participants and experts in the block trading space differ on their opinions of this. Hemsley says there was never one single venue for it now to become fragmented. It was mainly ITG and Liquidnet dominating the space and it was already fragmented between the banks. Calls from the buy-side for a more efficient way to trade blocks saw the establishment of new venues because trading blocks certainly wasn’t as efficient as it could have been. Although, Grob describes trading blocks as being much like trying to fish but with five rods. The orders are conditional, meaning if you put a conditional order in all five venues and you find a match the other side, before you can firm up you must pull the orders from the other venues to avoid the risk of being overfilled. Imagine trying to whip four fishing rods out of the water if you get a bite on one of the rods, before you can catch the fish… you can see the issue. He believes this is what contributes to fragmentation in the block trading. In comparison, Mark Pumfrey, CEO of EMEA for Liquidnet, looks at the growth of the conditional order type. He says dark venues continue to be great value for big institutions and this can be seen in the strong growth of dark trading over the last five years. “Studies have suggested that dark volume caps will limit the volume of dark trading, but the growth of LIS, which is not part of the denominator, will elevate wholesale-style dark trading,” Pumfrey explains. “We expect conditional order types to grow and that will make a big difference to dark trading as you can now represent yourself conditionally in different LIS venues which makes trading in size easier." Liquidnet’s platform has gone from strength to strength with its community-based model that is actively policed to ensure no ‘funny business’ ensues and orders are protected. “Dark venues require clear and strong rules of engagement to ensure liquidity found therein is highly actionable. Policing and protocol has been a big focus for us since inception. Trading large size in the dark requires a significant amount of trust and confidence in the platform and I can’t stress enough the behavioural aspect to this. You don’t want to share large scale trading intentions unless others treat it with the respect it needs," Pumfrey adds. He adds however, that using a block trading venue, like the ones mentioned here, is not the only method of sourcing blocks. A well informed and technology armed sales trader will be looking at other ways to stitch together these trades. This is of course part of the bigger picture however, and moving forward it looks as though the block trading platforms will become increasingly important. The bottom line is competition is what drives innovation and if demand for such capabilities continues alongside soaring volumes of block executions, then perhaps there will be enough business to sustain more than just one or two LIS trading venues.